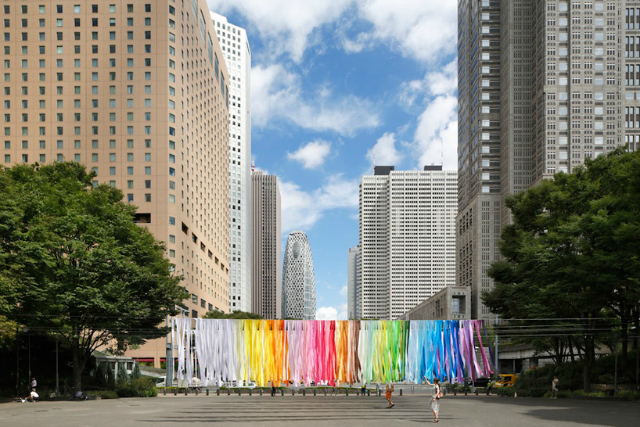 100 Colors was an installation in Tokyo, Japan's Shinjuku Central Park that was on display in September, 2014. 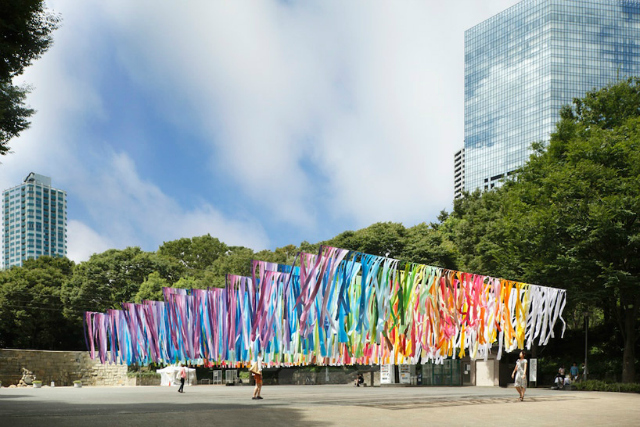 The designer, French-born/Japan-based Emmanuelle Moureaux, yields her design based upon the concept of shikiri (dividing and creating space through colors). According to Emmanuelle, she believes that "colors are three-dimensional elements, like layers, in order to create spaces, not as a finishing touch applies to surfaces." 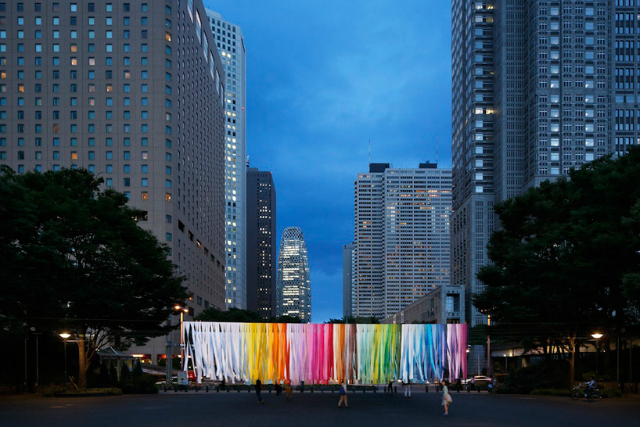 This installation looked similar to her work in 2013 in the Shinjuky Mitsui Building made from 840 sheets of paper (part of the Shinjuku Creators Festa) but, for this installation she created colors and dyed each fabric in her studio before cutting them into strips for the art installation (1,875 strands total). 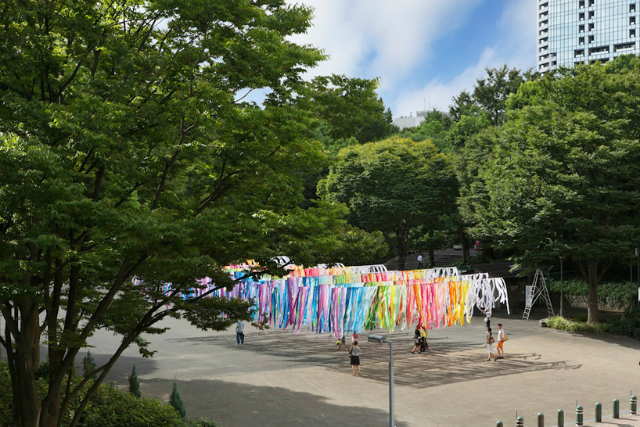 The colors moved from white to purple and were hung overhead in the park, allowing viewers to walk through the fluid pieces of fabric. In such an urban environment, the colorful exhibit offered an interesting juxtaposition. 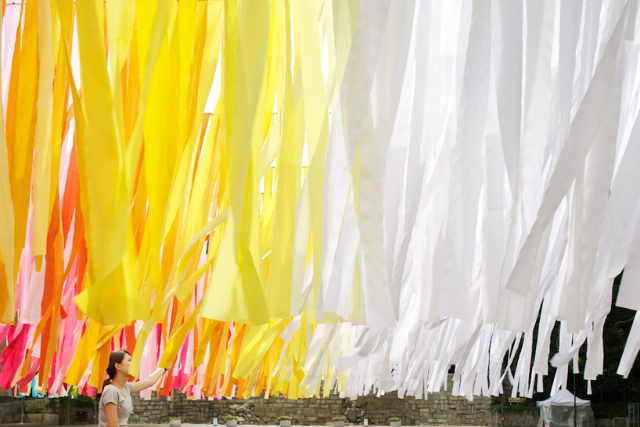 To see the installation in motion, check out the short video here! It's worth watching. Stunning pics, thx for sharing. 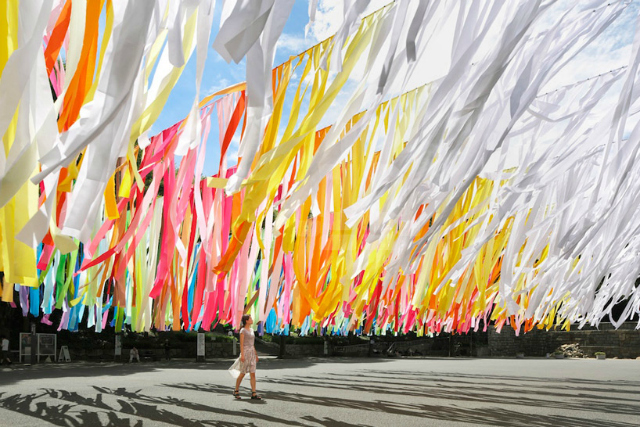 It must be fun walking through these 100 colors. This is BEAUTIFUL! Wow. 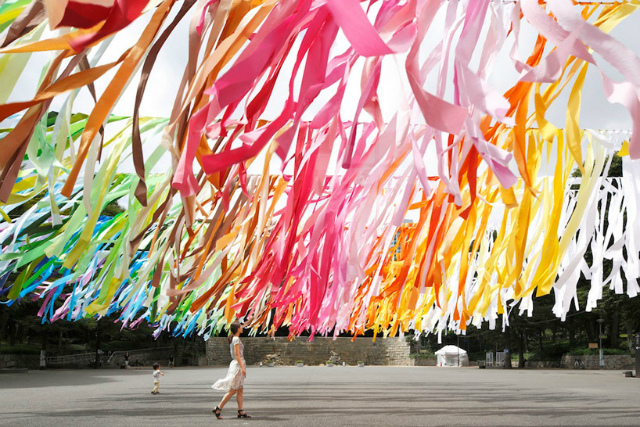 I love your photographs-- it's such a majestic installation. Love this idea, such a nice use of colour.